Kite Clip Art - Let's Go Fly a Kite! Did you know that April is "National Kite Month"? Well it sure is. 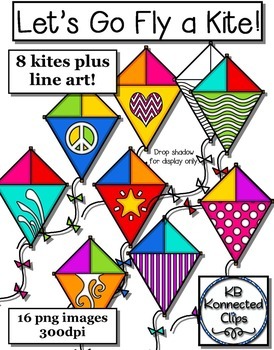 Your products/creations will be flying high when you add these colorful kites to them. Includes 8 designs plus line art (b/w).